Standard Chartered's offices in London. New York politicians scrounging for extra revenue are getting help from an unexpected source: the U.K.'s Standard Chartered Bank. 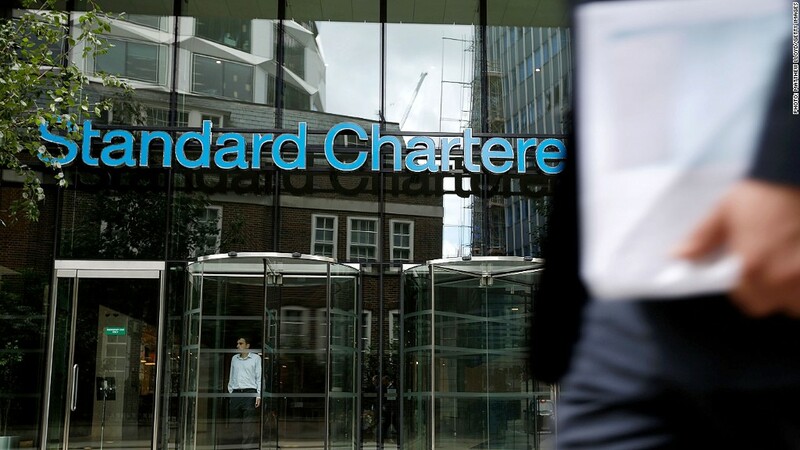 On Tuesday, New York's Department of Financial Services announced a $340 million settlement with Standard Chartered bank to resolve allegations that the firm concealed transactions with Iran in violation of U.S. sanctions. As WYNC pointed out, that sum could make a significant difference for a government that's looking at a budget gap of $982 million next year. The $340 million New York is due will go to the state's general fund, though officials say it's too early to know when or how the money might be spent. Mark Johnson, a spokesman with the state comptroller's office, said this year's budget includes over $500 million in revenue that may not come in as projected. If that's the case, the money from the settlement could be used to pay for projects that might otherwise have to be delayed or canceled. Otherwise, the money could remain in the fund for use in subsequent years. For comparison's sake, New York's budget last year included roughly $238 million in spending by the Office of Parks, Recreation and Historic Preservation. Total state expenditures for this year are projected to come in around $134 billion.